In a large bowl, stir together flour, salt, baking powder and sugar and set aside. In a separate bowl, beat the eggs. Stir in the milk, butter and vanilla. Pour this mixture into the flour mixture and beat until combined. Ladle the batter (about a 1/3 cup depending on iron size) into the preheated waffle iron. Cook the waffles until golden and crisp. Serve immediately with butter and maple syrup (as pictured, I served with chopped walnuts and sliced banana). Enjoy! 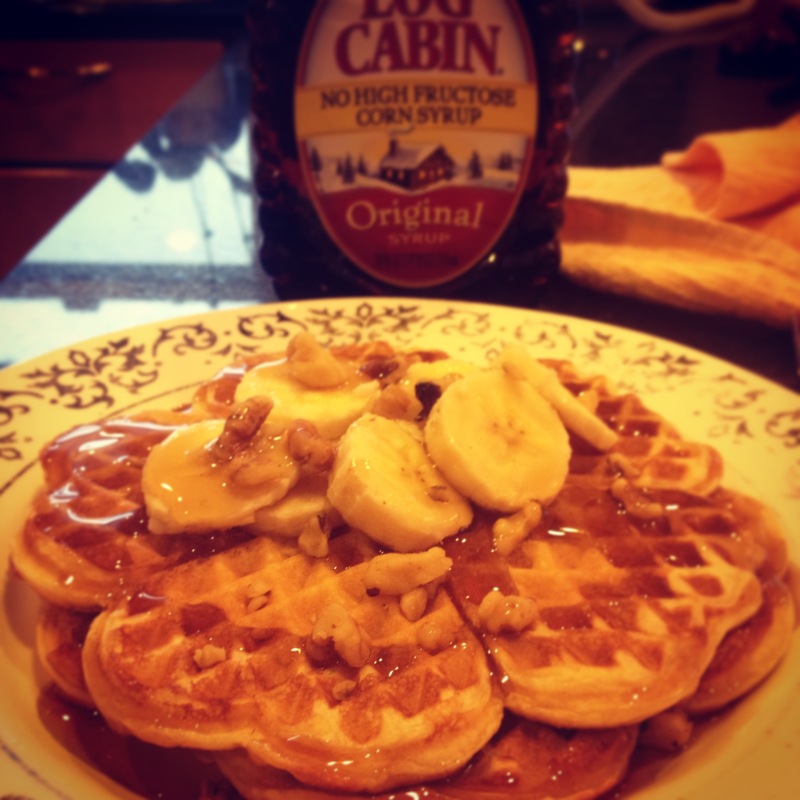 Yummy….I don’t have a waffle iron but your waffles look amazing!